This concert is organized and produced by RACH-C, and is dedicated to Mr. Anikushin’s grandfather George Loring Yankovsky, will feature works of Beethoven, Tchaikovsky, Barber and Merkulyeva. Mr. Anikushin has performed at Merkin Recital Hall, Steinway Hall, the Bruno Walter Auditorium at the Performing Arts Library at Lincoln Center, the City University of New York and at the Yamaha Corporation Concert Hall, to name but a few. 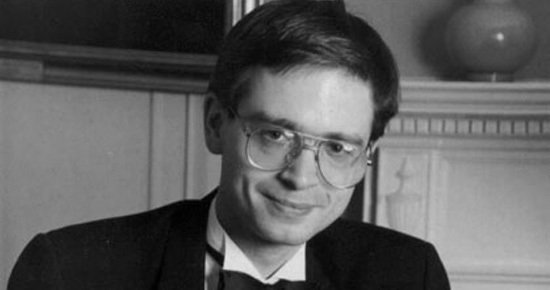 After winning the Barber Concerto Competition in February, 2006 at the Manhattan School of Music, the conductor of the performance, Maestro JoAnn Falletta called Maxim a “big talent” with “fabulous technique”. Ms Falletta subsequently invited Mr. Anikushin to perform Shostakovich Concerto No. 1 with the Buffalo Philharmonic Orchestra for their 2007-2008 season. Maxim’s many prestigious prizes and awards include Third Prize at both the International Senigallia Piano Competition in Italy and the International Prokofiev Competition in St. Petersburg, Russia, Second Prize in the International Vincenzo Bellini Competition in Caltanissetta, Italy, First Prize in Long Island’s Five Towns Competition, and a Diploma at the Grieg Competition in Oslo, Norway. In February 2006, he won the aforementioned Barber Concerto Competition at the Manhattan School of Music and in May, 2006, he garnered First Place at the International Piano Competition in Carlet, Spain. In May 2007, as part of the prize, Mr. Anikushin gave three concerts culminating in the performance of the Beethoven Piano Concerto No. 3 under the direction of maestro Sergio Furio with the Orchestra of the Conservatory of Perfecto Garcia Chornet in Carlet at the Palau de la Musica in Valencia, Spain. This entry was posted on March 5, 2012 by admin in 2012.